At this moment, I believed the most talked about headlines in the world is how Germany whacked the host country, Brazil to the shameful scoreline of 7-1 in the first World Cup Semi-Final early this morning. I believed no fans/punters in the world are expecting this kind of result in the semi-final matches, let alone the host country. From my TV screen, when the camera zoom into the audience, I can see a lot of Brazil fans are in tears and devastated. No more samba time! Overall, Brazil has slightly better possession than Germany (52% vs 48%), it means that they are controlling the game (or the ball) more often than Germany. However, most of Germany's goals came from counter-attack. That's where Brazil's defence collapsed under the great speed of their opponents. Neymar is playing a pivotal role in all their matches, without him, the whole Brazil team is like an headless chicken. That's the problem when the team is too rely on one or two player(s). To put it bluntly, Brazil lose to a better team. During the 90 minutes of play, Germany is enjoying their top-notch performance in every department, from goal keeper (M Neuer) to Defender (e.g. Phillip Lahm) to Striker (e.g. T. Mueller). They are an wholesome team and a worthy winner. As the saying goes : The ball is round! But this morning we all got a shock that the ball can be so round that it rolls so many times into the net within such a short period. To be exact, 5 goals within 29 minutes. Mind you, we are not watching the S-League here but the high profile World Cup Semi-Final!! Do you think tomorrow's second semi-final (Argentina vs Netherlands) will have similar kind of score-line? 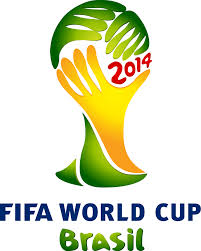 Personally, I hope to see Germany face-off Netherlands in the Final, what about you? When the team loses beyond belief, the fans will walk away. The same goes with shareholders. When the share is in desire straits, everybody is going to dump the stock. How resilient is the team to withstand a shock? At 2 goals down, it wasn't completely impossible, but the next few minutes were shattering. The same with a stock portfolio. How resilient is the investor and his portfolio in withstanding some loses? Or would everything go downhill together? Consider an investor whose portfolio is 100% REITs?